Freshman triple jump Charisma Davis bounds down the runway in the triple jump Friday during the WSU Indoor at the Indoor Practice Facility. 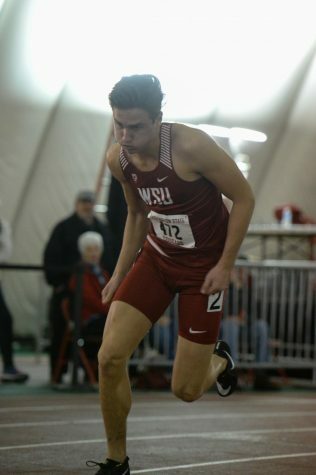 WSU track and field found plenty of success this weekend as the team hosted the 17th annual WSU Indoor. 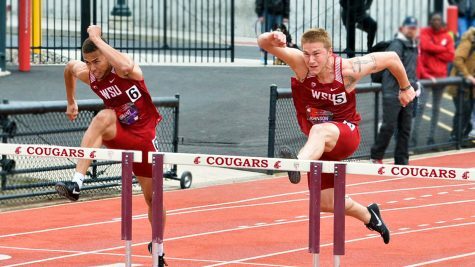 The men’s and women’s teams both had impressive showings as the Cougars competed against some tough competition. 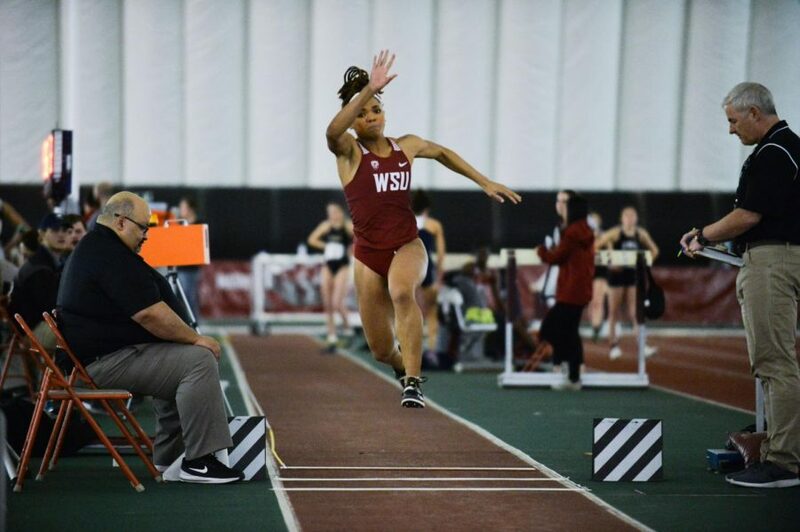 Overall, WSU claimed nine event victories, the women securing eight of them. 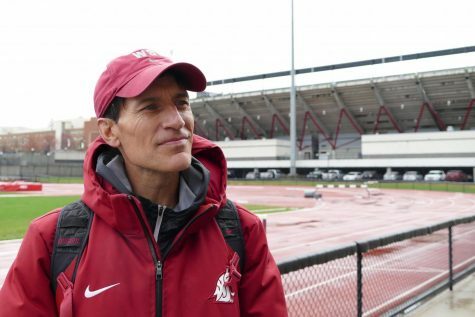 Director of cross country and track and field Wayne Phipps said his team has started the season strong after training all offseason. The men’s team had a big weekend, highlighted by junior Emmanuel Wells Jr. He ran a historic 6.69 seconds in the 60-meter dash to win the event. 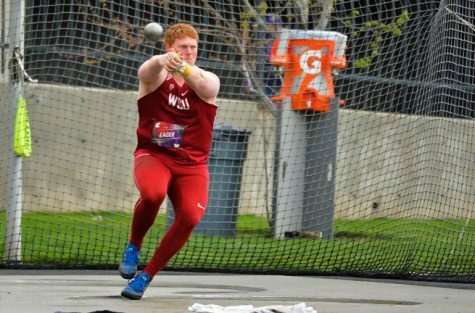 He also set a new WSU Indoor meet record which was previously held by Olympian and former Coug Anson Henry. 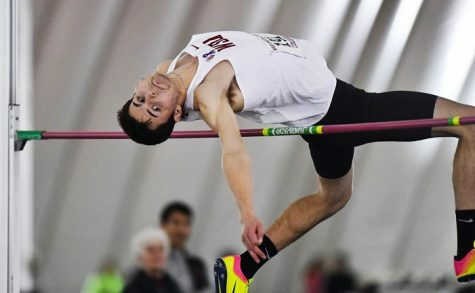 In the men’s field events, senior Peyton Fredrickson finished second in the high jump and freshman Joseph Heitman and junior Sam Brixey claimed second and third in the long jump respectively. Freshman Jacob Englar also had a strong showing in the men’s pole vault and took home second. On the women’s side, the big story was freshman Charisma Taylor breaking the Cougar freshman indoor record in the triple jump. She also took home second place in the long jump. The Cougars also got a big performance from junior Jordyn Tucker who finished first in the 60-meter dash with a time of 7.52 seconds. Senior Regyn Gaffney and junior Lauren Newman claimed second and third in the event respectively. Sophomore Samantha King-Shaw won the women’s 3,000-meter and freshman Ronna Iverson sprinted to a win in the 400-meter. 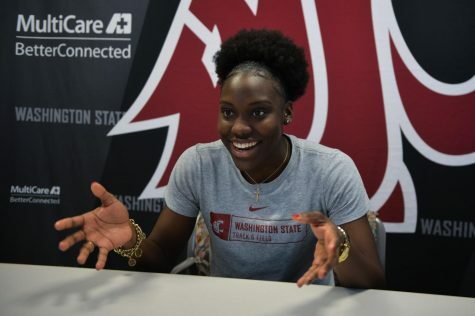 In the women’s field events, the Cougars dominated. 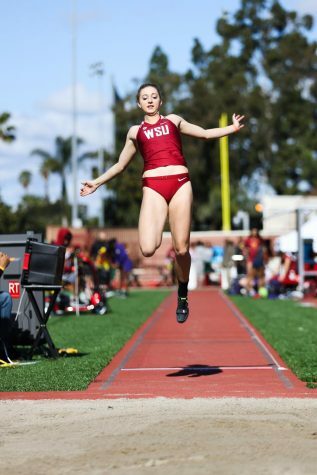 Freshman Suzy Pace soared to a victory in the high jump, senior Chrisshnay Brown set a personal record en route to a first-place finish in the shot put, redshirt junior Aoife Martin claimed the weight throw and redshirt junior Molly Scharmann won the pole vault. Phipps said he was impressed by his team’s performance but knows they haven’t reached their full potential yet. The Cougars now turn their attention to the UW Invitational and New Mexico Team Invitational this coming weekend.